~ I Give a Hoot. China has been accused of attempting to dominate the Pacific Ocean by proclaiming an Air Defense Identification Zone (ADIZ) that extends about 200 miles off the China coast. 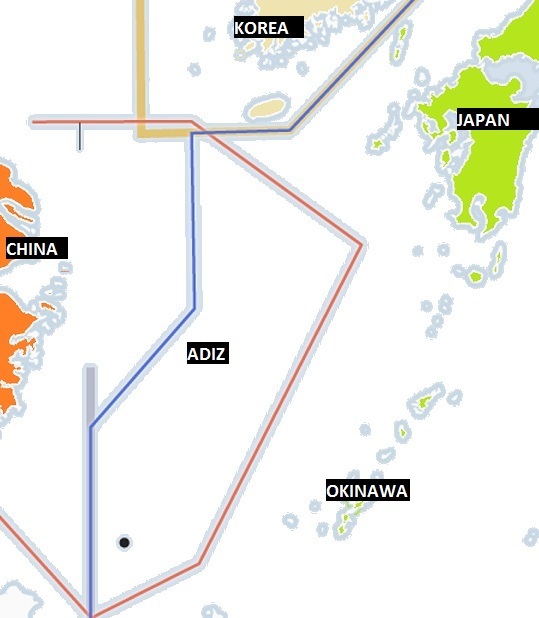 The Chinese ADIZ is “provocative,” U.S. and Japanese officials have declared, because it overlaps an ADIZ established by Japan and because it covers the uninhabited rocky islands that Japan and China have been arguing about. The Japanese ADIZ covers those islands too, but that is not provocative, of course, because Japan….well, because Japan is… well, Japan is not China, that must be why. If all this geography is not giving you a headache, there is another island in the neighborhood that I invite you to consider. This one is only about 100 miles east of China’s ADIZ, it’s a lot bigger than those uninhabited rocks and it’s got more than a million people living on it. It has not been mentioned in any of the news reports on the ADIZ that I have seen, or in any of the stern remarks out of Washington, but the policy makers in Beijing, Washington and Tokyo are certainly aware of it. The name of this suddenly unmentionable island is Okinawa. It is part of Japan (no dispute on that point although there used to be) and it is home to about 30 American military bases, including Kadena Air Base, one of the largest United States Air Force bases outside of the U.S.
Okinawa has been an American military area since it was invaded and captured from Japan during the final months of World War Two. All through the Cold War it remained an anchor of American military power in the Far East. Bombers from Kadena attacked North Korean targets during the Korean War, and during the Vietnam War, B-52s flew bombing missions from Kadena. The big bombers (with their nuclear capability) have apparently been pulled back to Guam, but although the Cold War is said to be over just about every other type of American military aircraft is still based at Kadena, and still flying patrols and “training missions” and surveillance flights all around the western Pacific. The U.S. Army and Navy and CIA and NSA also are represented on Okinawa. Missiles too. Altogether more than 20,000 American military personnel are stationed on the island. Where is this U.S. bastion again? From China’s ADIZ, about 10 minutes jet fighter flying time; from the coast of China, about 400 miles; from Hawaii, across the Pacific, about 4,800 miles. So let’s describe things accurately. China is not the country dominating the Pacific. Perhaps the Chinese are just trying to draw a red line of their own as the U.S. talks about a “pivot” to Asia.